It’s all too easy to become overwhelmed and blindsided by the constant focus surrounding you and your partner during your wedding season. Luckily, there are ways to consciously decide to focus on others to alleviate the load of being the center of attention. For the benevolent bride, it is imperative to make these decisions in ways that align with her socially conscious values. Our team, situated at the Ice House in downtown Louisville, has compiled a list of five ways you can walk down the aisle knowing your future, and the future of others, will be brighter. Featuring an ethically sourced engagement ring from Trumpet & Horn. 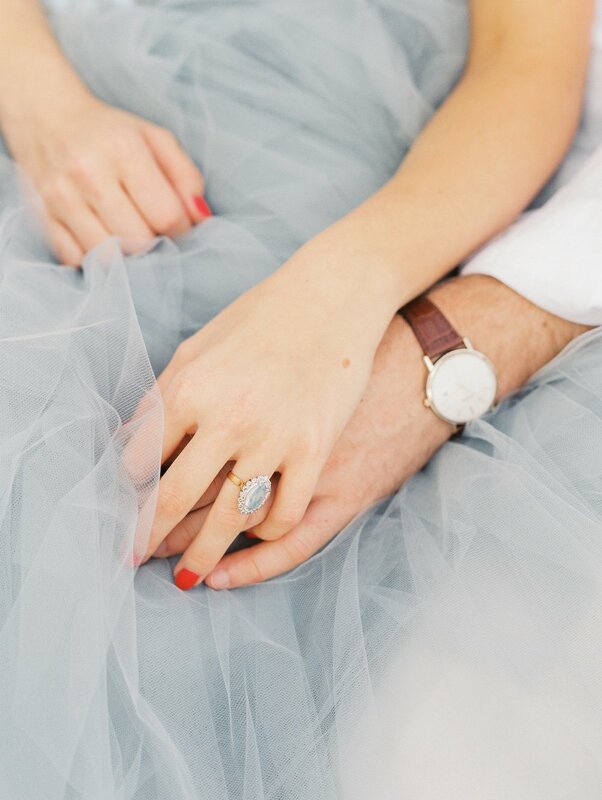 A bride’s engagement ring tells the story of her and her partner’s love story. Choosing various combinations of stone settings, jewel stones, and band style can communicate a love that is one of a kind. For brides who are socially conscious, choosing an engagement ring is not only making a choice of a beautiful ring, but also a stand for fair wages and safe working environments. In the past, the selection of ethically sourced engagement rings was slim and did not appeal to the everyday bride. But thankfully, many jewelry companies have taken the challenge to create beautiful pieces that are made with care and compassion. The Good Trade has compiled a list of 12 jewelers that produce stunning engagement pieces that brides can feel confident investing in. A captivating ensemble from Wear Your Love. 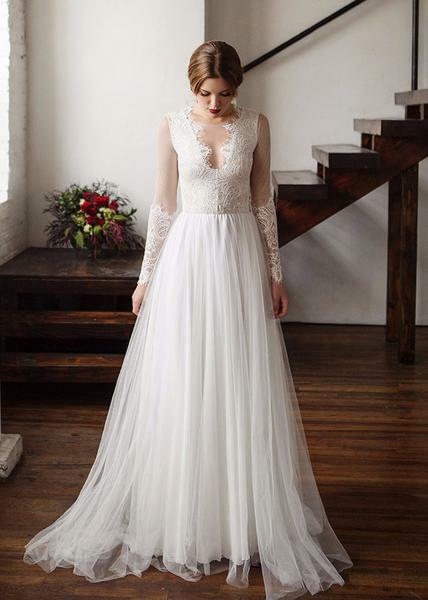 It is no secret that the wedding dress industry is chalk full of stunning gowns that will please most any bride. The choices are endless. But at what expense, or whose? Thanks to fast fashion there are distributors and retailers with the resources to create bridal gowns that keep up with the trends of every season, but the manufacturing morals are an ugly sight to behold. To avoid sewing into a designer who relies on unsafe working environments and paying deplorable wages to their employees, make the choice to select your wedding dress from a mindful designer whose vision is to design gorgeous gowns while doing their part to positively impact the world. Visit The Good Trade to find an extensive list of reputable designers. A delectable plate by Crushed Ice Catering. In the past few years, many catering companies have stepped up their game in regards to serving local and sustainable options for events. Doing this boosts local economy as well as cuts down on a company’s carbon footprint. Today, it is important to continue to take conscious steps in the direction of the well-being of others and our Earth. 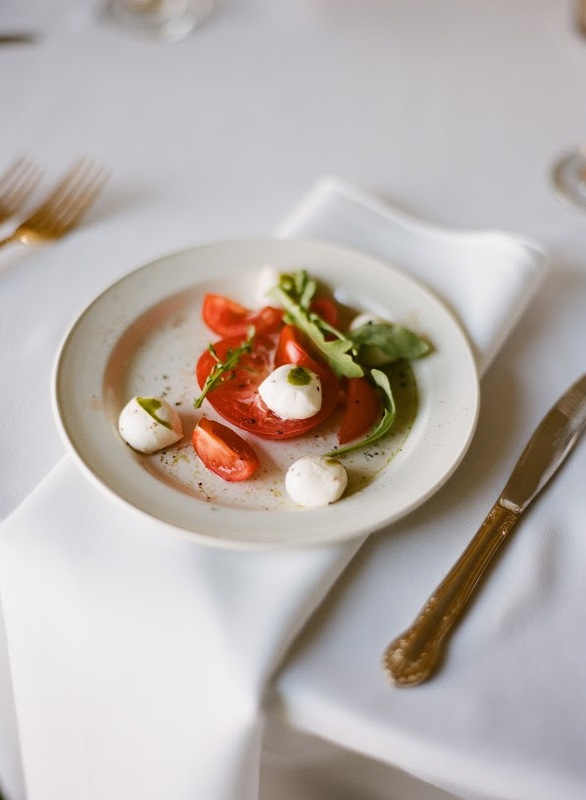 Brides, choose a caterer that will honor your decision to have leftover food donated to local halfway houses or homeless shelters. We are pleased to say that this is an active practice that our exclusive in-house caterer, Crushed Ice Catering, participates in. For Louisville locals looking to incorporate this into their own wedding, Wayside Christian Mission, The Healing Place, and many other non-profits will gratefully accept food donations from your events. 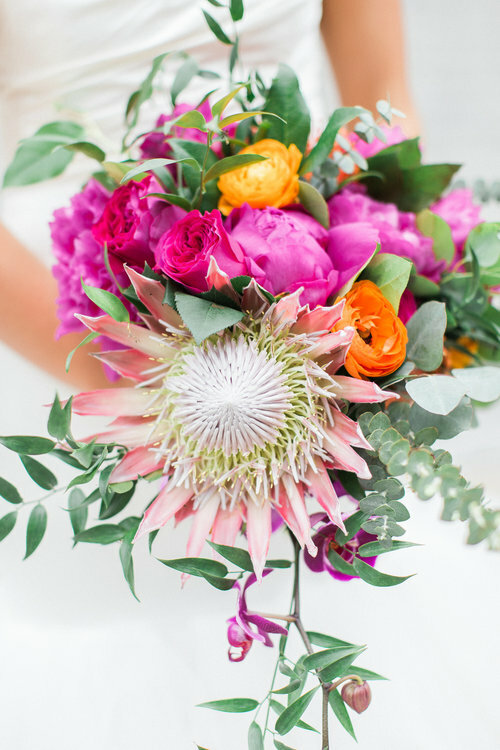 A stunning bouquet from a local vendor favorite, Rose & Honey Floral. Much consideration goes into choosing bouquets and floral centerpieces to give a personal touch to a couple’s wedding day, but when the last guest leaves those botanic beauties most likely to be tossed to the trash with plenty of life in their petals. Instead of letting those blossoms go to waste, consider donating your florals to a local assisted living center or nursing home. Many of these centers are thrilled to accept your donations and share them with their residents to brighten their day. Arrangements to donate can be made personally by you and your future spouse, or you can coordinate with locally run The Flower Buds to bring joy to someone’s day. 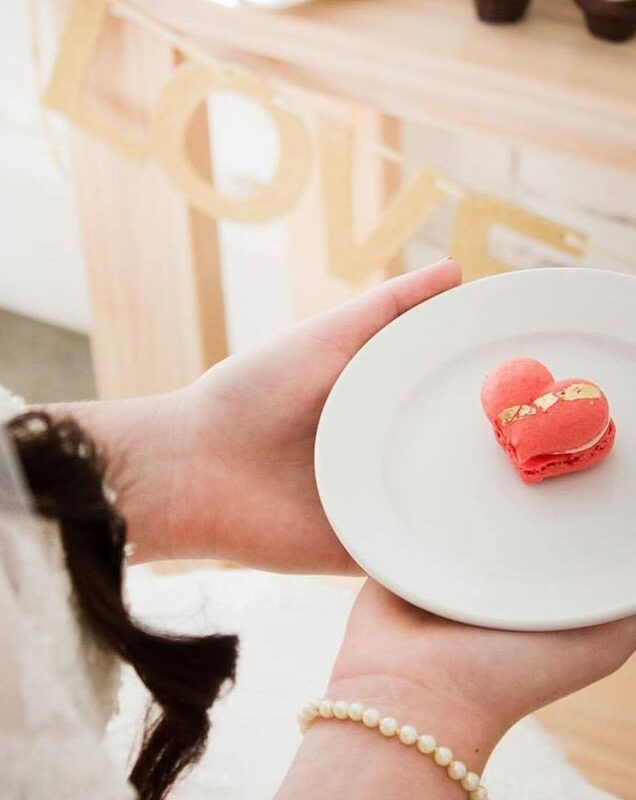 Count on Scarlets Bakery to have the treats to soothe any sweet tooth. Naturally you will want to give a token of thanks to your bridal party and wedding guests, and giving the gift that keeps on giving has never been easier. If you and your soon-to-be spouse would rather bypass the tradition of receiving gifts from your guest The Good Beginning is the wedding registry for you. Instead of making the difficult choice between gifting an elegant wine decanter or statement making vase, guest will make donations to charities selected by you and your partner. Likewise, the gesture can be reflected and guest can receive a certificate of a donation made in their name as a wedding favor. Lastly, if the idea of letting guest leave without a token to remember your day by is unbearable, purchase a favor that empowers. For those local to Louisville, purchasing take away treats for your guest from Scarlet’s Bakery not only satisfies a guest sweet tooth but supports a non-profit which pours 100% of their proceeds back into their community. Making the most of your wedding day means more than choosing the perfect dress and most beautiful bouquet, it means making socially conscious planning decisions that will beautify both your wedding day and the world around you.